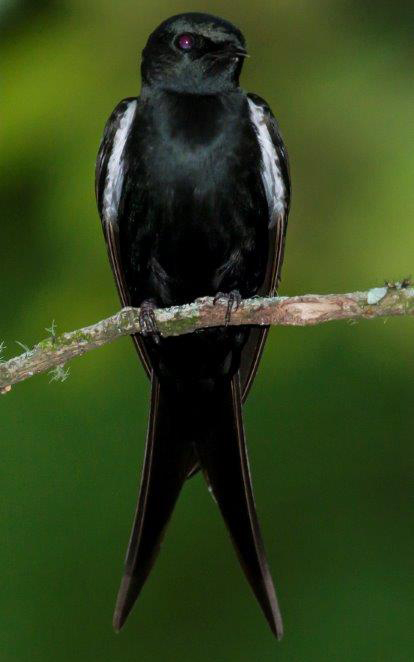 Small black swallow with white “armpits” and forked tail. Pairs have nested in the bank near the main dam for many years. Often seen flying along forest edge and over the canopy. Can be confused with Blue Swallow, but the armpits and smaller tail are distinguishing features. Common.